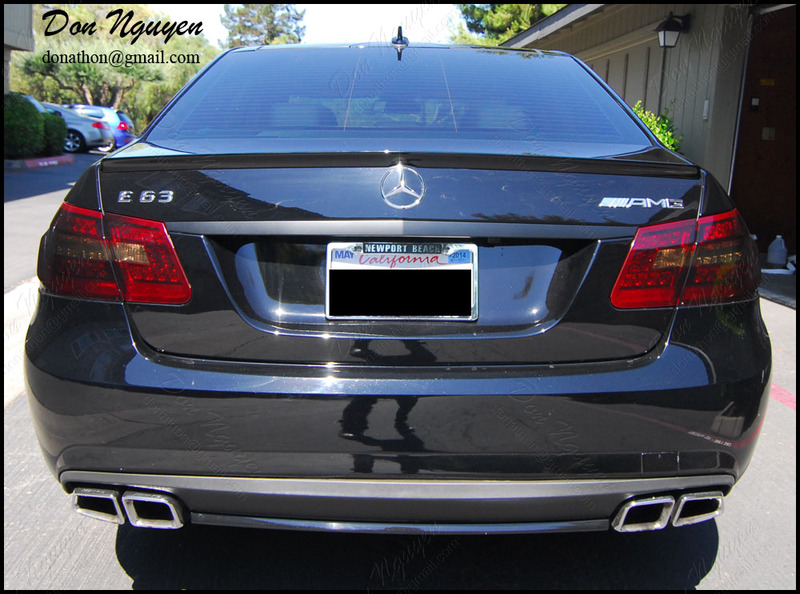 Here are some pictures of a black Mercedes Benz E63 AMG that I did on my most recent trip up to norcal / bay area. 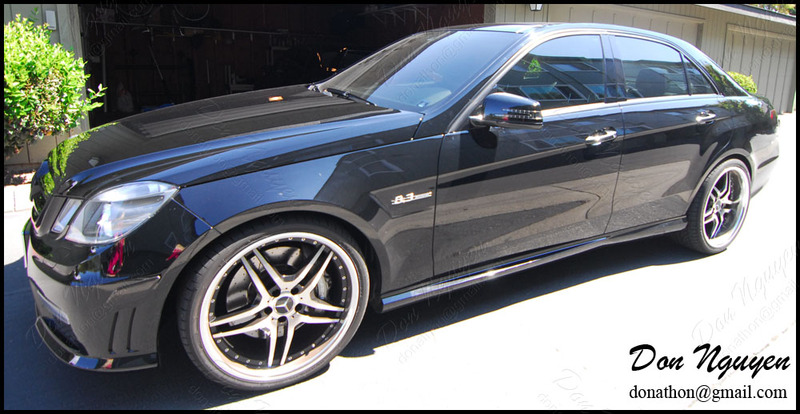 The owner of this car had me vinyl wrap the chrome / brushed aluminum trim on his car with my matte black vinyl material. I believe he originally was going to have me tint his lights as well, but he went ahead and had them painted instead before I made my trip up there. Unfortunately, he got pulled over the the tails being too dark. 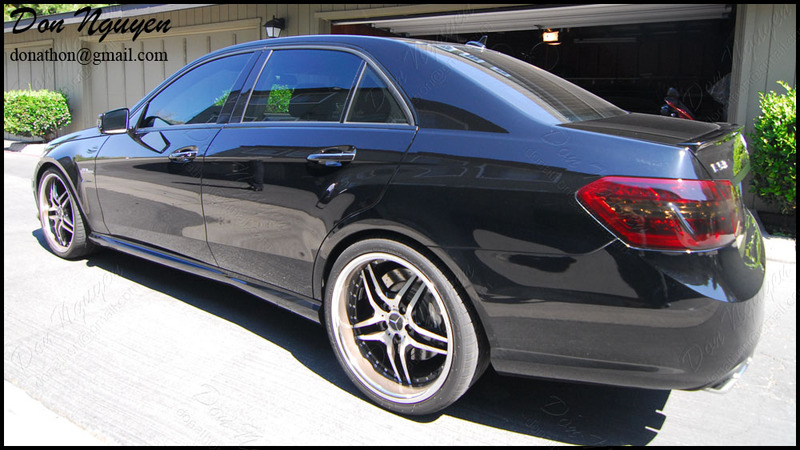 The advantage of vinyl in this case would have been that it would have been easy to reverse/pull off the tint film material and go back to stock if needed. I didn't take any before pictures, as I didn't have much time between cars, so I only took pictures of the after results.